Bethune-Cookman University (B-CU) has four fellowship opportunities for Masters students in the Department of Integrated Environmental Science (IES). B-CU is a partner institution of the NOAA Center for Coastal and Marine Ecosystems (CCME), a partnership led by Florida A&M University and funded by NOAA’s Educational Partnership Program with Minority Serving Institutions (Cooperative Agreement Award #NA16SEC4810009). The NOAA CCME mission is to educate and train a new generation of scientists, particularly from underrepresented minority communities, in the NOAA-relevant STEM disciplines and social sciences needed to utilize interdisciplinary approaches to address issues confronting marine and coastal communities, with a particular focus on Coastal Intelligence, Coastal Resilience, and Place-based Conservation. The MSIES program at B-CU teaches students to integrate social, economic, and political information to develop functional approaches to address ecological and societal issues. To be eligible, a candidate must have a Bachelor’s degree from an accredited college/university in a NOAA-related discipline (e.g. biology, chemistry, environmental science, etc. ), have an undergraduate GPA of 3.0 or higher, be admitted to the B-CU graduate studies program, and be a US citizen. Successful applicants receive tuition, a stipend, NOAA internships, and funds for conference travel and research expenses. To apply, a candidate must apply for the B-CU graduate studies program and be admitted by the application deadline (June 1, 2019 for Fall 2019 admission). For application procedures, materials and questions concerning the NOAA-CCME fellowship, please contact Dr. Hyun Jung (“J.”) Cho, Professor of Integrated Environmental Science, Bethune-Cookman University, Daytona Beach, FL 32114; ; 386-481-2793. Seeking a highly motivated student for a Ph.D. position in the Department of Biological Sciences at the University of Alabama. This is an interdisciplinary project, crossing the fields of ecological modeling, atmospheric sciences, plant ecology, and global change. As anthropogenic actions interact with a changing climate, the carbon dynamics of Everglades wetland ecosystems are changing in complex ways, especially with respect to recent hurricane activity and its influence on global warming potentials of these systems. For example, increases in both water level and defoliation have reduced photosynthetic capacity and increased hypoxia in both freshwater and brackish ecosystems. Important questions have arisen regarding the impact of physical changes in these systems long-term CO2 uptake and CH4 emissions. The student will help to answer important questions through formulation of ecological hypotheses, collecting data in support of these hypotheses, data analyses, model building and parameterization. The student will join an NSF-funded project, working with a multi-institutional group, including scientists from Florida International University and the National Park Service, and the Florida Coastal Everglades Long-term Ecological Research group (FCE-LTER). 1. Two trips per year, with 3-6 days of field work at Everglades National Park. The applicant should be highly motivated with a have a minimum of a bachelorÃ¢Â€Â™s degree (but a masterÃ¢Â€Â™s degree is preferred) in ecology, atmospheric sciences, atmospheric chemistry, statistics or related field. Preference will be given to students with a strong background in statistical modeling. The project is fully funded and includes: competitive stipend ($23,800 annually), tuition waiver and health insurance. The start date is August 2019. Interested candidates should contact Gregory Starr () and send a CV, letter of interest, research statement, and a scientific writing sample. Discovery Hall Programs (DHP) at the Dauphin Island Sea Lab (www.disl.org) has a 10 week summer internship position available for an undergraduate (junior, senior) or recent graduate from groups currently under-represented in marine science and environmental education. Interns work with DHP's education personnel in our many different summer programs including summer camps for K-12 students, our residential class in marine science for high school students, teacher workshops and public outreach events. Interns assist in all aspects of logistics, preparation, and teaching. This is a great opportunity to gain hands-on experience in the field of environmental education and learn about the Gulf of Mexico ecosystems. For further information, please contact DHP Registrar Sara Johnson, at (251) 861-2141 x7515 or email . Discovery Hall Summer Internship, Dauphin Island Sea Lab, 101 Bienville Blvd., Dauphin Island, Alabama 36528. Dr. Christina Staudhammer in the Department of Biological Sciences at the University of Alabama is now inviting applications for a MS position starting in fall 2019/spring 2020. The student will work on a project in quantitative urban forestry, partially funded by a grant from NSF-Ecosystems. The benefits of urban forests to city-dwelling people include recreation, pollution, mitigation, energy savings, and water purification. However, fundamental questions still remain about the resistance and resilience of urban ecosystems to anthropogenic change, especially associated with projected alterations in global climate. Hurricane Irma, while destructive, created an opportunity to evaluate the impact of windstorms on urban forests. Utilizing pre- and post-storm field-measured and remotely sensed data, a student is sought to model the relationship between tree, landscape, and socioeconomic characteristics, storm variables, and urban forest damage. This work will fill gaps in our knowledge about the ecosystem services provided by urban forests. The overarching goal is to enhance our scientific understanding of the role of urban forests at local to regional scales, and how they respond to disturbance. It is expected that prospective graduate students will develop their own research plans and goals, and therefore should be self-motivated and independent. Students should be interested in combining ecology with statistical modeling. Students should have demonstrated experience in statistics, as well as a background forest ecology, geography, or environmental science. A solid working knowledge of SAS and/or R is required, and those with strong quantitative skills will be given preference. This position is primarily a Teaching Assistantship, supplemented by grant funding. However students can apply for additional funding. Interested students will earn a graduate degree from the Department of Biological Sciences. The project will also offer the opportunity to interact with researchers from the USDA forest service, as well as researchers from the University of Florida and University of South Florida. The University of Alabama is located in Tuscaloosa, a college town of ~100,000, surrounded by extensive and varied forests. These forests, and the greater region, provide a wide range of recreational amenities including rock climbing, canoeing, kayaking, fishing, hiking and mountain biking. To be eligible, students must meet the graduate admission requirements of the University of Alabama: an undergraduate GPA > 3.0 overall, 3.0 for the last 60 semester hours in a degree program or 3.0 for a completed graduate degree program, and a 300 on the GRE. If interested, email a short summary of your research interests, an unofficial transcript from undergraduate (and post-graduate, if applicable) work, as well as a CV to Dr. Christina Staudhammer (). Please check back for future positions. Description: One MS Graduate Teaching Assistantship (GTA) is available in the School of Biological Sciences at the University of Northern Colorado (UNC) starting in fall 2019. They are seeking highly motivated students who are interested in working on complex interactions involving plants, mycorrhizal fungi and insects. More details about projects can be discussed with interested candidates. Students awarded a teaching assistantship are generally supported (during fall and spring semesters) contingent on successful teaching and progress in the program. The compensation for this position includes a stipend for 9 months, and a full waiver of up to 10 credit hours of tuition per semester (GTA). In addition, summer funding opportunities are available on a competitive basis. Qualifications: Please review the requirements for admission to UNC: and the School of Biological Sciences. If you are qualified and interested in pursuing an MS degree in Biological Sciences, please send the following items to Dr. Karen Gomez () for initial review: (a) cover letter discussing interest in our research, applicable experience, and goals for undertaking a graduate program, (b) official or unofficial undergraduate transcripts (GPAб≥3.0), (c) resume or CV, (d) GRE scores, and (e) name and e-mail of three professional references. Applicants must have a BS in Biology with an emphasis in plant sciences, or other related disciplines. A working knowledge of plant biology, entomology and/or mycology are sought and research experience in the laboratory and in the greenhouse/growth chamber, are desired. Excellent English writing and verbal communication skills are essential. Review of applicants will begin immediately, but the position will remain open until a suitable candidate is found. Applications received by April 30th, 2019 are guaranteed full consideration. The US Geological Survey, Southwest Biological Science Center, is seeking a postdoctoral scholar to work on collaborative research projects involving the USGS and Department of Interior land management agencies on the Colorado Plateau. The projects are focused on asessing the 21st century climate vulnerability of terrestrial vegetation and developing adaptive resource management strategies that maximize the long-term sustainability of these ecosystems. Specific responsibilities of this position include synthesizing information about the exposure and sensitivity of dryland terrestrial plant communities to anticipated trajectories of climate and aridity, evaluating the particular challenge represented by restoration in these dryland conditions, and working in collaborative groups integrate these insights into management practices. Desired qualifications include a proven ability to develop and publish scientific manuscripts, statistical analysis of large datasets, geospatial analysis in R, complex R code development, and effective collaboration with diverse groups of researchers and stakeholders. The position is located in Flagstaff, Arizona. Questions can directed to John Bradford () or Seth Munson (.) To apply, please email a C.V., including contact information for references, to with subject: climate adaptation postdoc application. A postdoctoral position is available in the lab of Dr. Liza Comita to work on an NSF-funded project to examine mechanisms of species coexistence in diverse tropical tree communities. The objectives of the project are to (1) determine the key abiotic and biotic drivers of tropical tree seedling performance, (2) assess how the relative importance of those drivers varies along a strong rainfall gradient in central Panama, (3) link data on plant functional traits to speciesÃ¢Â€Â™ responses to environmental variables within and across sites along the rainfall gradient, and ultimately (4) develop novel forest simulation models, parameterized with field data, to assess the relative importance and combined influence of abiotic factors and biotic interactions on tropical tree species diversity. The position will involve extensive statistical analysis of spatially-explicit, long-term tropical forest dynamics data, as well as travel to field sites in Panama to oversee data collection. The successful applicant will join a productive and supportive lab group and will benefit from the large scientific community and excellent resources on campus. The postdoc will gain skills in data analysis and scientific communication and will also have opportunities to mentor undergraduate and graduate students and gain teaching experience (if desired). Qualifications: Applicants should have a PhD in Ecology or a related field (by the start date), with strong quantitative skills. Excellent knowledge of R is essential, and experience with Bayesian models is strongly preferred. A demonstrated track record of publication is required. Excellent written and oral communication and inter-personal skills are essential. Duration and start date: The initial appointment is for one year, with funding available for up to two additional years depending on performance. The position can start as early as June 1, 2019 and as late as January 6, 2020. Compensation: Salary will be based on Yale's postdoctoral compensation scale, which ranges from $47,960 for first year postdocs to $54,770 for postdocs having up to 5 years of prior postdoctoral experience. Full details on postdoctoral compensation and benefits can be found here. To apply: Applications, including a CV, cover letter stating research interests and experience, and the names and contact information of three references, should be sent by email to Dr. Liza Comita at . Informal inquiries are also welcome via email. Review of applications will begin May 13, 2019 and continue until a suitable candidate is found. For more informaton, go here. 1. Demographic modelling (2 years of funding) The postdoctoral fellow will examine the effects of fire regimes and soil characteristics on population dynamics of perennial grasses as well as the relationships between perennial grasses and groundcover plant biodiversity in the southeastern U.S.A. Strong analytical skills and knowledge of plant community and population modeling are required. 2. Geospatial analysis (1 year of funding with strong possibility of 2nd year of funding) The postdoctoral fellow will address whether lack of fuel management corresponds with an increased risk of wildfire and/or increased risk of more severe fires. Strong analytical skills and knowledge of lidar remote sensing, ArcGIS, and image processing are required. Stipend and Benefits: Salary for a full-time postdoctoral fellow (1.0 FTE) is $49,800; the postdoc is also eligible for health insurance and 5 hours of personal leave biweekly. Start Date: September 1, 2019 is preferred, but there is some flexibility in start date. Gainesville Community: Gainesville, Florida, is a beautiful Central Florida town (www.cityofgainesville.org) with excellent cost of living, affordable housing, excellent schools, and numerous outside activities. To apply, submit a CV and cover letter that includes summary of research experience, brief statement of research interests, and evidence of effective mentoring to Rae Crandall at . Deadline to apply is June 1, 2019. Includes independent research project. Provides Weekly stipend of $200 and free lodging. The intern will be supervised by Dr. Elizabeth Boughton and exposed to research in grassland and wetland ecology and disturbance ecology (grazing, fire, flooding). Primarily, the intern will work on a collaborative project investigating the effects of prescribed fire, cattle grazing, and pasture management on grasslands. The intern will be trained to use a variety of instruments to measure: net ecosystem CO2 exchange, soil greenhouse gas fluxes (N2O, CH4, CO2), and groundwater levels. Other fieldwork will include aboveground plant biomass collection, soil and water collection, and plant species composition. Lab work will include soil sieving, plant biomass weighing and grinding, and water and soil nutrient analyses. Long days and work on weekends may be required during intense data collection campaigns. Preference will be given to candidates who demonstrate experience with similar measurements and a demonstrated interest in grassland ecology and ecology of grazinglands. Interns receive lodging and a weekly stipend of $200. They typically work 20 hours per week as research assistants and the remainder on an independent research project. Internships generally run for 6-12 months but are flexible in their starting dates and durations. Internships offer an opportunity for experience in every aspect of scientific research, from project choice and experimental design to oral and written presentations. The intern must be able to tolerate living on a remote cattle ranch and provide their own transportation for personal activities. The housing is located at Buck Island Ranch, a division of Archbold Biological Station with eight permanent staff, located 11 miles away from the main field station. Buck Island Ranch is operated as a commercial cattle ranch which serves as a research platform to investigate ecological and environmental challenges on working landscapes. Archbold Biological Station is active in research, conservation, and education. Our facilities include a 5000 ha preserve, an outstanding regional library and a GIS lab. We have a staff of about 50 with many visiting scientists, an active seminar program, and a relaxed biological station atmosphere. Position description: A postdoctoral position is available with the Soil Microbiology Lab at the University of Florida/IFAS Southwest Florida Research and Education Center (SWFREC) in Immokalee, FL, to examine the impact of cover crops and row-middle management in citrus. The SWFREC is located in the in the heart of citrus and vegetable production in Florida and provides a unique opportunity to combine scientific research with the needs of the industry. Interested persons should submit a cover letter, curriculum vitae, and a list of 3 references, including contact information, to Dr. Sarah Strauss (). Seeking a motivated, ambitious individual to pursue a fully-funded PhD with the Strickland Lab at the University of Idaho. This position is supported by a newly awarded NSF CAREER grant aimed at understanding the implications of antibiotics on ecosystem processes and soil microbial communities. Through this position you will gain valuable experiences working in field and laboratory systems, designing independent projects and writing high-impact manuscripts. The position will also have opportunities to engage in outreach and assist in the development of middle school science curriculum. For more information on the exciting research and opportunities in the Strickland Lab, please visit our website (www.stricklandlab.com). The PhD degree will be awarded in the Department of Soil and Water Resources at the University of Idaho, located in Moscow, Idaho. More information on the degree program can be found here. The Strickland Lab offers an environment with a wealth of opportunities exploring both basic and applied research in soil microbial ecology! The lab is affiliated with the Center for Health and the Human Ecosystem, The Environmental Science Program, and the Water Resources Program at the University of Idaho. Please contact Michael Strickland () for more information. To apply, please send your Curriculum Vitae, cover letter, and contact information for at least two professional references to . Position is open until filled but application materials received prior to April 30th, 2019 will receive full consideration.. Position Responsibilities: The individual in this position will incorporate agricultural best management practice information into the development of nutrient reduction scenarios for various watersheds across Iowa accounting for the maximum level of implementation that could be achieved with the various practices. This scenario development will also assess the cost effectiveness of various options. This work will utilize the Agricultural Conservation Planning Framework (ACPF) tool for assessing practice implementation. As part of this work there would be a review of tools or approaches that can be used in evaluating potential load reductions. In addition to developing and evaluating nutrient reduction scenarios, the individual in this position can participate in empirical data collection related to assessing the efficacy of best management practices and their placement. Position Qualifications: Applicants with a bachelor’s degree in in soil science, agronomy, natural resources, agricultural or civil engineering, environmental science, or similar program are encouraged to apply. Applicants with an interest in working in interdisciplinary teams are especially encouraged to apply. The applicant should have an interest in soil and water quality assessment, including monitoring and modeling, in agricultural landscapes. This position will necessitate excellent communication skills, self-motivation, and collaboration. Application Process: For questions regarding this position, contact Tom Isenhart at (515-294-8056) or Matthew Helmers at (515-294-6717). The Agroecosystem Nutrient Cycling Laboratory (www.poffenbargerlab.weebly.com) in the Department of Plant and Soil Sciences at The University of Kentucky is seeking an enthusiastic and motivated PhD student. The student will use stable isotope tracing to study the effects of corn root systems on soil organic matter formation and persistence. QUALIFICATIONS: The ideal candidate will have a B.S. or M.S. degree in soil science, agronomy, ecology, biogeochemistry, environmental science, or a related field and experience working in a research setting. Strong organizational, quantitative, and communication skills are required. The candidate will complete coursework necessary for a PhD in Integrated Plant and Soil Sciences with an agreed upon emphasis area of their choosing (please go here for more information). The LOCATION: The University of Kentucky is situated in Lexington Kentucky, a vibrant and progressive, family-friendly city with a bustling entertainment scene conveniently situated in the inner bluegrass region of Kentucky just 80 miles from Louisville and Cincinnati and a short drive to the world-renowned Red River Gorge and Daniel Boone National Forest. Lexington airport is well connected with daily flights to several major hubs (Atlanta, Chicago, Detroit, Dallas, Washington, Philadelphia) making travel to any national or international destination simple. Seeking a motivated MS or PhD applicant to Biological Sciences (MS) or Integrative Biology (PhD) graduate program at the University of New Orleans for fall 2019 admission. The successful applicant will be supported by a teaching fellowship for up to three years and will do research related to benthic artificial reef ecology or submerged aquatic vegetation ecology under global climate change. If interested, applicants should contact for more details. An M.S. research assistantship (including stipend, tuition, health insurance) is available in the U.S.G.S. Maine Cooperative Fish and Wildlife Research Unit at the University of Maine beginning September 2019 to develop remote sensing tools and guidelines for monitoring colonial nesting birds in Maine's coastal habitats. The student will collaborate with a team of graduate students and faculty testing the quality and efficacy of bird survey data collected across various specifications, including those collected with different imaging systems at varying spatial resolutions from fixed wing aircraft, ground surveys, and unmanned aerial systems (UAS), and analyzed with advanced image processing approaches. The student will assist with developing guidelines for deploying UASs for surveying nesting birds in coastal habitats and toolkits for collecting and analyzing imagery for avian population surveys in marine conservation, recreation, and industry applications. The study's geographic area spans the coastal regions of Maine, with a focus on islands hosting large nesting colonies of various seabirds and wading birds. Prior experience with geographic information systems, spatial and statistical analysis, and fieldwork is required. Prior experience with waterbirds, seabirds, or UASs is desirable but not required. The candidate must have a sincere interest in learning and combining traditional field survey techniques with emerging technologies and data analytical tools in wildlife survey applications. This project is a collaboration of several students and faculty from four academic programs on two University of Maine campuses, state, federal, and extension agency biologists, and will involve significant team science and community outreach and engagement during the project work. Applicants must have relevant coursework and field experience in ecology or wildlife biology, spatial ecology/GIS, and statistics. The selected student will be supported by a research assistantship for 2 years and teaching assistantship for 1 semester, with an anticipated total program duration of 2.5 years. Stipend level (minimum $22,500 annually) will be based on relevant experience and coursework. The student is responsible for 50% of the health insurance cost (waived with proof of insurance); tuition and the remaining 50% of health insurance is provided. The student may complete program requirements for either the M.S. Wildlife Ecology degree or the M.S. Ecology and Environmental Sciences degree in the Wildlife, Fisheries, and Conservation Biology department. Please send a pre-application cover letter expressing interest in the position, CV with references, and unofficial copies of GRE scores and transcripts to Dr. Cynthia Loftin (), with subject line Colonial Nesting Bird Surveys M.S. Assistantship. Review of pre-application materials will begin immediately. Seeking a research associate to join projects related to the adaptive management of invasive grass carp in Lake Erie. The projects involve leading a collaborative team of researchers from Michigan DNR, USFWS, USGS, and MSU in experimental targeted removal efforts for grass carp in the Michigan waters of Lake Erie, collecting and processing of environmental DNA (eDNA) samples, and analyzing telemetry data collected in Lake Erie to inform the adaptive management process. The associate will also supervise undergraduate technicians in field and lab work. Experience leading a field study in fisheries, preferably with electrofishing, is strongly preferred, as well as interest/experience with laboratory methods for eDNA analysis and acoustic telemetry. Interest/experience with engaging agency personnel and stakeholders at the interface of technical analysis and resource management is also desired. You may also have the opportunity to participate in other QFC activities, including preparing for and delivering on-line and short-courses on quantitative fisheries methods and assisting with consulting projects with QFC supporting partners. Qualifications: PhD in fisheries science or related discipline with field experience and a strong record of research productivity in quantitative methods. Salary: $48,500 per year plus benefits. Initial appointment is for 1 year with extension for another year, depending on performance during first year. Contact: All applicants must apply via careers.msu.edu, search posting #562803. Please submit your CV, letter of interest, and transcripts (unofficial). Questions about the posting can be directed to Dr. Kelly Robinson () or Dr. Travis Brenden () at the Quantitative Fisheries Center. Review of applications will begin 3/20/19 and continue until filled, with the associate hopefully beginning in April or May, 2019. A post-doctoral position is available for a qualified individual to work on carbon cycling studies in mountain peatlands of the Colombian Andes. 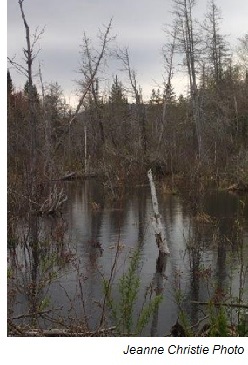 The goal of the project is to determine the carbon cycle and greenhouse gas consequences of peatland degradation from drainage and other agricultural activities, quantify the effect of restoration efforts, and to develop credible emissions factor estimates for CO2 and CH4 for drained peatlands and degraded pasture peatlands in support of national and international greenhouse gas accounting efforts. We will develop intensive estimates using automated CO2 and CH4 chambers, combined with extensive surveys with manual chambers. This project is complementary to a large scale effort to restore ecosystems in the pÃ¡ramo of Colombia. Additional work will involve leading ground-truthing efforts as part of an effort to map peatlands across the pÃ¡ramo of Colombia. Depending on the successful applicant’s skill-set and interests, opportunities are available to pursue additional questions, e.g., on mechanisms of plant, microbial, or biogeochemical regulation of peatland greenhouse gas flux, as a part of this or related projects. Qualified candidates will have experience in ecosystem gas flux quantification. Spanish language skills, and experience in peatland carbon cycling and/or peatland restoration are all a plus. Extensive travel and ability to work at high elevations in rugged conditions are required for this position. The position will be at Michigan Technological University, and jointly supervised by scientists at Michigan Tech and the US Forest Service, Northern Research Station in Houghton, MI. Houghton is a small university town located on the beautiful Keweenaw Peninsula, surrounded on three sides by Lake Superior. Located in the lake effect snow belt of Lake Superior, Houghton receives an average snowfall of about 218 inches a year. The area is famous for outdoor recreation, especially hiking, kayaking, sailing, mountain biking and cross-country skiing. It is just a boat ride away from Isle Royale National Park. 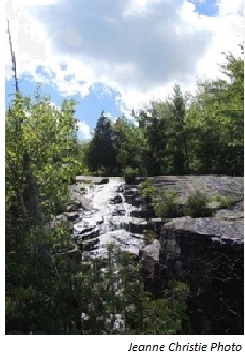 The area also has a long history of copper mining— hence its other name, the Copper Country— which is interpreted via the regions second National Park, the Keweenaw National Historic Park. The Forestry Sciences Laboratory is on the campus of Michigan Technological University, providing intellectual and cultural experiences typical of a mid-sized university. Houghton is among the top 100 small towns in America according to Livability.com, is among the 16 best towns to live in according to Outside magazine, and is among the top 10 small towns near national parks according to Smithsonian Magazine. Local public schools are excellent—Houghton High School received a silver ranking according to US News and World Report and the Houghton-Portage Township school district is ranked 12th of 824 high schools in the state of Michigan. Consideration of applications begins immediately and will continue until the position is filled. Start date is flexible but could start as early as this July, contingent on availability of funds. Funding is available for 3 years of support, renewed annually. Please send a cover letter that states your research interests, curriculum vitae, any other relevant materials, and provide the names and contact information for three references to Erik Lilleskov () and Rod Chimner (). Description: The Walters Lab in the Department of Forestry at Michigan State University is looking for several field technicians for the upcoming field season. We are an applied forest ecology (silviculture) lab with a current focus on exploring alternative silvicultural regimes in northern hardwood forests. Field technician duties will mainly consist of characterizing vegetation structure and deer use in forests which have been recently harvested. Field sites are located throughout the Upper and northern Lower Peninsulas of Michigan. Desired skills: Experience or aptitude for plant identification and GPS navigation; interest in forest ecology/silviculture; experience and/or desire to work outdoors in rugged conditions. Recent graduates are encouraged to apply. Time Frame: Mid-May through Mid-August, potentially longer for recent graduates. Pay rate: $12/hr minimum, commensurate with experience. Typically 40 hours/week. Housing in N. Michigan provided. To apply: Submit a CV or resume, list of three references with contact information (including email and phone number), and a brief cover letter outlining your interest in the position and relevant experience, as well as your dates of availability, to Dr. Mike Walters () with "Walters Lab Summer Field Technician" in the subject line. A postdoctoral position is available at the Umaña Lab in the Department of Ecology and Evolutionary Biology at the University of Michigan in collaboration with Dr. Jenny Zambrano (University of Maryland). The postdoctoral researcher will be involved in ongoing research investigating the relationships between leaf and root economic spectrums and their variation along a soil fertility gradient at Big Woods forest, Michigan. The incumbent will analyze data and prepare manuscripts for publication in peer-reviewed journals. The postdoctoral associate will work independently with minimal supervision. There will be also opportunities to develop questions related to ongoing research conducted in the Umaña Lab related to tree demography, plant interactions and plant physiology. Additional information about the Umaña Lab can be found here. PhD degree in Ecology, Plant Biology or related field. The appointment will be for 1 year with the potential for extension to 1 additional year. Benefits are included and pay will be commensurate with experience. Preferred start date will be August 2019.
Review of applications will begin 26 April 2019, and will continue until the position has been filled. To apply for the position, please email a cover letter including previous experience, research interests and motivation for applying, along with a CV and the names and email addresses of three references to Dr. Umaña (). We strongly encourage applications from women and minorities. A three year Ph.D. assistantship is available in the ecophysiology lab of Dr. Heidi Renninger in the Department of Forestry at Mississippi State University. The research will focus on the physiological comparison (photosynthesis, water use, leaf nitrogen etc.) of short rotation woody crops in the Populus genus (P. deltoides and hybrid poplars) and is part of a USDA funded project. The ideal candidate should have an M.S. degree in a comparable area and have both field- and laboratory-based research experience. A valid driver's license is also required. The start date is August, 2019 (potentially January, 2020) with some flexibility. The assistantship includes a stipend, full tuition waiver and health insurance. More information about the graduate school at Mississippi State University can be found here. To learn more about the position, please contact Heidi Renninger (). Applicants should send 1) a cover letter stating their research interest, goals and background, 2) unofficial undergraduate and graduate transcripts, 3) a resume/CV, and 4) contact information for 3 professional references to Dr. Renninger () prior to submitting an online application to Mississippi State University. Review of applications will begin on April, 30th 2019 and continue until a suitable applicant is found. Dates: May-August 2019. Please specify your available start and end dates in your application. Job Description/Duties: The USDA, Agriculture Research Service, Northern Plains Agriculture Research Laboratory in Sidney, MT is seeking an enthusiastic and hard-working individual to serve as a biological science aide on projects examining the influence of landscape structure and crop diversity on pest insects and their natural enemies (e.g. ladybeetles, parasitoid wasps). The research is focused on developing ecologically-based, sustainable and environmentally friendly approaches to pest management in agricultural systems. This position will involve a mixture of field and greenhouse work (~50%), and lab work to sort samples and identify insect pests and their natural enemies (~50%). The successful candidate will gain hands on experience with insect field sampling methods, set up and maintenance of field and greenhouse experiments and insect rearing and identification techniques, as well as the chance to work with the diverse insect fauna associated with cropping systems in a team oriented research environment. Salary: $11.68 (GS-2) or $12.74 (GS-3) per hour depending on experience and education. The candidate will receive overtime pay when working above the base work schedule of 40 hours a week. Housing is not covered, but dorm-style shared housing is available on location for ~$140 per month, including utilities. Qualifications: The candidate must be a US citizen, with a valid driver's license. Additionally, the candidate should be physically fit, and comfortable spending time outside in uncomfortable field conditions (hot, biting insects etc.). Willingness to work long days, and weekends when necessary is also a must. Undergraduate course work in ecology or entomology, and previous field and lab work experience is preferred but not required. Application process: Please send cover letter, resume and names and contact information of two references (electronically) in a single file to Dr. Tatyana Rand (). Open Period: Evaluation of applications will begin immediately and continue until the position is filled. For more information on our research program visit their website here or contact them directly. The Global Environmental Analysis and Remote Sensing (GEARS) Laboratory in the department of Natural Resources and Environmental Science at the University of Nevada, Reno, is seeking a Postdoctoral Researcher in the Terrestrial Laser Scanning of Forests with an immediate start date. The researcher will be part of a large, collaborative project with researchers from the University of Maryland, College Park, University of Edinburgh, the USDA Forest Service, and NASA JPL. The project's goal is to analyze changes in the structure of forests across the Sierra Nevada Mountains using a variety of remote sensing data and techniques including data derived from terrestrial laser scanning (TLS), airborne LiDAR, and unmanned aerial vehicle (UAV) imagery. TLS, in particular, provides one of the most detailed measures of forest structure and change and can be used as the gold standard for testing larger scale measures and improving our understanding of forest processes. However, in the past, TLS has typically been collected and analyzed over a very limited number of sites. Our project covers nearly 150 individual sites across large climatic, diversity, and disturbance gradients. These measurements and analyses will allow a deeper understanding of fine scale changes in biomass accumulation and loss, particularly as it relates to fuels and fires. The postdoctoral researcher's primary responsibilities will be to develop and implement algorithms and processing chains for extracting various forest metrics from TLS point clouds in a high performance computing (HPC) environment using e.g. QSM and voxel approaches. Job requirements: a PhD in remote sensing, computer vision, computer science, engineering, physics, or a related geotechnologies field; experience with TLS applications for forestry; Linux operating systems; at least 2 years of programming. To apply: Applicants should send an email to Dr. Jonathan Greenberg () with the subject line "TLS Postdoc" with a cover letter, curriculum vitae, and contact information for at least three professional references. Applications will be accepted until a suitable candidate is found. Salary will be commensurate with the applicant's qualifications. The Garnas lab seeks two highly motivated graduate students (MSc or PhD) to address basic and applied questions concerning the ecology, evolution, and functional role of insects and fungi in eastern North American forests. Both projects will be funded by teaching and/or research assistantships, or some combination therein. Details of each of the projects will be developed in accordance with project needs and student interests, but generally, one student with strong interests and experience in molecular ecology and another in forest/field ecology will be selected. To apply for the PhD position you must have Masters degree or equivalent experience, or strong motivation. The University of New Hampshire and the Department of Natural Resources and the Environment are home to a vibrant community of productive researchers with a strong commitment to student success. Located in the town of Durham, UNH is a beautiful campus surrounded by forest and natural landscapes. Only 30 minutes from the sea and less than 2 hours from the White Mountains, outdoor and other recreational activities abound, including right on campus. as a single pdf file to . Positions are open until filled. Start date is negotiable but the ideal student would be able to begin in August or sooner. In addition, we are also hiring several Summer field and lab technicians to work on various projects related to the Emerald ash borer, beech bark disease, and other forest health issues in New Hampshire and beyond. A three-year postdoctoral position is available in the Pinsky Lab at Rutgers University to develop process-based models of species distributions and applications to near-term forecasting (1-10 years). The position is ideally suited to researchers with an interest in spatial population dynamics, biogeography, climate, and process-based modeling. The research will focus on marine species for which we have a half-century of distribution and abundance records. The postdoc will join a network of collaborators across marine science, climate science, and conservation, including partners in the Mid-Atlantic Fisheries Management Council. Extensive opportunities are available to interact with scientists at Rutgers' Institute of Earth, Ocean, and Atmospheric Sciences; the NOAA Geophysical Fluid Dynamics Lab; the Center for Discrete Mathematics and Theoretical Computer Science; and beyond. The postdoc will have the opportunity to mentor graduate and undergraduate students, design and lead research, manage and analyze large datasets, prepare conference presentations and manuscripts, and coordinate a research collaboration. Research in the Pinsky Lab more broadly uses empirical data, mathematical models, and population genomics to study global change in the ocean. The ideal candidate will be skilled with spatial- and size-structured population models, statistics, and data analysis. Experience with Approximate Bayesian Computation and climate data is a plus. Applicants with evidence of creativity, productivity, strong oral and written communication abilities, and enthusiasm are especially encouraged to apply, particularly those that bring a new perspective, new ideas, or a new skillset to the team. A promising record of publication is highly valued, as is an interest in engaging closely with partners in conservation and management. The successful applicant will be an independent, motivated problem solver who communicates well and enjoys working in a collaborative setting. The postdoc start dates are flexible, though earlier dates are preferred. Salary starts at $54,000 per year and includes health insurance, retirement, tax savings plans, and other benefits. Funding for conferences and a computer are available. This is a one-year appointment with the expectation that it will be renewed for two more one-year increments (three years total), contingent upon satisfactory performance. Review of applications will begin on March 24, 2019 and will continue on a rolling basis. Interested candidates should submit: 1) a one­page cover letter that describes their interest in the position, their relevant background, and their preferred start date, 2) a CV, and 3) the names and contact information of three scientists familiar with their work. Position Description: The new Burton lab in the Department of Forest and Natural Resources Management is recruiting a graduate student (MS). This position is available beginning in Fall 2019 (or Spring 2020) and includes two years of support through a teaching assistantship (stipend, tuition waiver and health insurance). Potential research topics may include analyses of plant traits, scaling changes in forest community structure to ecosystem functions and services, role of canopy structure in mediating vegetation-climate relationships, effects of silvicultural alternatives on a range of ecosystem services, managing adaptive capacity, and overstory-understory linkage. Qualifications: Bachelor’s degree in forestry, biology, natural resources, ecology, environmental science or a closely related field is required. Preferred qualifications include: the ability to work independently and collaboratively, a strong work ethic, demonstrated written and oral communication skills, experience with common forest measurements and statistical analyses, and good plant identification skills. Application: Apply to the graduate program in Forest and Natural Resources Management (FNRM) online. Indicate your interest in working in the Burton lab in your statement of educational and professional goals. In addition, please email your application materials directly to me (contact information below). Syracuse University: The Fridley Lab at Syracuse University is seeking a motivated undergraduate student interested in gaining research experience in plant ecology as part of a research team investigating mechanisms of plant invasions in forests and fields of the Northeast U.S. The research is part of a study that examines potential changes in leaf physiology when plants are introduced to North America from home ranges in France and Japan. The undergraduate project will be based in Syracuse and will examine plant metabolism and nutrient dynamics in both the lab and field locations around NY State. Activities will depend on the interests of the student but will likely involve greenhouse plant propagation, lab and field gas exchange measurements, and plant tissue analysis. Students will be provided with a $6000 stipend for living expenses over the 12-wk duration starting approximately May 20 (start and end dates are flexible). Relevant experience and ecology- or plant biology-related coursework is desirable but not required. Application instructions can be found here. Deadline: April 12th, 2019. Apply by October 15, 2019 or until filled. Seeking to fill a doctoral student position with an individual having research interests in the population and community ecology of freshwater ponds; particularly the animals that live within and around them. Research in my lab is largely focused on enhancing our understanding of three fundamental questions in ecology: (1) why are some ecological communities more diverse than others, (2) how does the biodiversity of a community affect ecological processes and the stability of ecological systems, and (3) what mechanisms control the population size of a species? Example topics that students could pursue include 1) predator-prey and competitive interactions, 2) habitat selection and the process of community assembly, and 3) ecological causes and consequences of variation in biodiversity but I am open to the possibility of working with students on other topics in aquatic ecology as well. Students will have the opportunity to address ecological questions via a multitude of quantitative approaches (including modeling, experimental and macroecological). The position will be based out of David Chalcraft’s lab in the Department of Biology at East Carolina University. East Carolina University (www.ecu.edu) is the third largest campus in the University of NC system and it’s Department of Biology has an active and well-supported group of faculty working in the areas of ecology and evolution. Ideally, the student will begin during the fall semester of 2019 so interested individuals should contact David Chalcraft () soon. Please include a copy of your resume/cv, information about your past academic performance (e.g., GPA), and a description of your interest in this position. More information about the research conducted in the Chalcraft lab can be found here. Description: We are recruiting a Postdoctoral Researcher for a study that will conduct the initial stages of a fisheries-focused integrated ecosystem assessment of the Lake Erie ecosystem. We will use multivariate analyses of long-term physical, chemical, and biological datasets to quantify patterns and trends in the structure and function of the Lake Erie ecosystem and identify drivers of those trends. We will then use similar multivariate analyses, as well as mechanistic modeling, to infer how ecosystem trends have driven the dynamics of ecologically and economically important fishes. The incumbent will also have the opportunity 1) to help organize and participate in a workshop during which we will disseminate information and results to Lake Erie management personnel and stakeholders to facilitate their movement toward ecosystem-based fisheries management in the Great Lakes and 2) to collaborate on future grant proposals and follow-up projects. Support to attend scientific meetings also will be provided. Location: Preferably, the incumbent would join a dynamic, interactive group of faculty, post-docs, and students at the Aquatic Ecology Laboratory in the Department of Evolution, Ecology, and Organismal Biology (www.eeob.osu.edu/), located on Ohio State's Columbus campus. However, alternative arrangements may be possible (i.e., being based in Canada with Ken Frank). Qualifications. The successful applicant will be creative, motivated, and capable of working both independently and cooperatively. Minimum qualifications include a PhD in ecology, fisheries, limnology, oceanography, biostatistics, or a related field. Strong quantitative and written and oral communication skills are required. Ideal candidates will have a strong knowledge of multivariate analyses, computer programming experience (ideally in R), and a track record of peer-reviewed publications. How to apply: Please submit the following materials to Dr. Michael Fraker (): 1) a cover letter that briefly describes your educational and research background and your interests and career goals; 2) your CV (or resume); and 3) contact information for at least three professional references. Please place Lake Erie Ecosystem Postdoc in the subject line. Application review will begin immediately and will continue until a suitable candidate is found. An ideal start date would be during early 2019. Please direct questions to Dr. Fraker at . For more informatoin, go here. MS opportunity: Clemson University's Baruch Institute of Coastal Ecology and Forest Science, based in Georgetown, South Carolina, is seeking a highly motivated BS graduate to study mangrove ecosystem ecology at Ding Darling National Wildlife Refuge in south Florida (Sanibel Island). This experimental research will assist scientists with the U.S. Geological Survey and U.S. Fish and Wildlife Service in linking nutrient amendment (N and P) as a physiological stress to water use in the refuge's 3 mangrove species. This research will contribute to larger questions related to soil CO2 flux, net ecosystem exchange of carbon, and forest growth as part of how the capacity for carbon sequestration changes as nutrients are added to the Caloosahatchee River upstream of the refuge into the future. Methodology will involve and require that the successful candidate have instrumentation skills and can utilize Dynamax sap flow equipment (heat dissipation technique), Li-6800 (transpiration, net photosynthesis, and stomatal conductance), Li-8100 (soil gas flux), and atmospheric data from a nearby weather station after an appropriate training period. Federal DOI boating certification will be provided and required. A $17k annual stipend will be provided for up to 2.5 years but studies could progress into new hypothesis tests and ideas leading to the potential for a Ph.D. if additional funding can be found. Housing in south Florida for this project is provided (~1/3 of the time), but housing is the responsibility of the student while on campus when in residence at Clemson University in South Carolina (~2/3 of the time). If interested, email a short summary of your research interests, unofficial transcript(s), and your current CV to Dr. Jamie A. Duberstein (). The Western Forest Initiative at Utah State University seeks to fill a PhD position funded by the T. W. Daniels endowment. The selected student will work on projects in the T. W. Daniels Experimental Forest near Logan, Utah, and in the three largest annually-surveyed, spatially-explicit forest plots in the West, located in Yosemite, California, Wind River, Washington, and Cedar Breaks, Utah. Prospective candidates can enroll in the either the Forestry or the Ecology program.The PhD student can conduct research on a variety of topics, for example: spatial relationships among woody plants, forest community resistance and resilience, forest canopy-snow interactions, fuel dynamics, climate-mediated forest change, plant-soil interactions, carbon sequestration, seedling dynamics, understory-overstory interactions, silviculture, or mechanisms and consequences of tree mortality. There will be considerable opportunity to interact with students, scientists, and academics affiliated with the Smithsonian Forest Global Earth Observatory. Five years of funding is available—eight semesters of research assistantship and two semesters of teaching assistantship. Those potentially interested should read the ‘Lab’ tab here for further details. Required qualifications include an MS degree in a forestry-, ecology-, or biology-related field; exceptional candidates progressing from a BS or from a different field of study will also be considered. The position will begin on a mutually agreeable date; review of candidates is ongoing. To apply, email the following information in a single PDF file to : (1) a cover letter describing your experience and rather specific research interests, (2) a CV, (3) unofficial transcripts, (4) GRE scores (and TOEFL, if required), and (5) contact information for three professional references. Application deadline is May 13, 2019. The Crowder lab at Washington State University seeks a highly motivated postdoctoral scholar to work on an ongoing USDA award to develop ecological niche models for pests of export importance. This project will be conducted in close collaboration with the lab of Dr. Lisa Neven at USDA-ARS and with two current postdocs (one in the Crowder lab Ã¢Â€Â“ Dr. Javier Gutierrez Illan, and one in the Neven lab). Washington State is one of the largest producers of tree fruit and berry crops in the country, and these crops are often exported. Key pests of export importance include European cherry fruit fly, brown marmorated stink bug, and blueberry maggot. The project will involve developing ecological niche models for blueberry maggot, and potentially other insect pests, in Washington and the broader Pacific Northwest US (PNW). Information from these models will be used to estimate the risk of invasion of these pests into export countries, while also improving our understanding of risk to producers in the PNW. The postdoc will also be expected to work to integrate landscape heterogeneity maps with ecological niche models to design pest trapping programs that are more efficient and cost effective. Given terms of our grant, we have a compressed timeline to hire a talented individual. Candidates that cannot start prior to June 15th will unfortunately not be considered. Candidates should mention if this is feasible in their cover letter. Additionally, the lab PI (David Crowder) will be on sabbatical from Sep 2019 to May 2020. While he will continue to meet virtually with lab members and be engaged with all lab functions, interested candidates must be able to work independently, be willing and able to execute their own research, and be interested in serving as informal mentors to students in the lab. We have a diverse group currently consisting of 7 graduate students and 3 postdocs, and we are excited to build on the success of this team. The Palouse is a beautiful area of the country to live/work with low cost of living and numerous opportunities for outdoor activities. Both WSU and the University of Idaho are located in the Palouse, within 8 miles, and a postdoc interested in joining this highly collaborative research community will be welcomed. The position with include a salary of $47K with benefits. Support to travel to one conference a year will be available. The position is funded through December 31, 2020, although there is an opportunity for renewal dependent on funding/performance. If interested, send a cover letter/CV to and . Applications will be reviewed as they are received. CLOSING DATE: Position is open until filled. DESCRIPTION: Student will be supported by an EPA-funded 12-month Research Assistantship for 4-years. Student will work with an interdisciplinary team on a statewide wetland water quality and macroinvertebrate index of biotic integrity (IBI) study in West Virginia. Student will be responsible for collecting and analyzing water quality samples, developing a macroinvertebrate IBI, and evaluating wetland condition. Ample opportunities for developing independent research questions related to wetlands, water quality, and invertebrates and for presenting at conferences is available. Specific objectives of the study are to: 1) characterize water quality conditions for a statewide wetland sample stratified by ecoregion and wetland type; 2) evaluate water quality conditions in relation to surrounding landuse, and biotic and abiotic parameters, 3) identify functional groups of wetlands with high (or low) water quality functions and those with high potential for restoring water quality; 4) develop a macroinvertebrate IBI; 5) investigate the role of hydrologic variation in temporal water quality variation, and 6) review national and state standards, and use existing and proposed WV data to recommend standards for state wetland water quality regulatory guidance specific to WV wetlands. The student will be working toward a Ph.D. in Natural Resources Sciences at West Virginia University. QUALIFICATIONS: B.S. and M.S. in Wetlands, Ecology, or closely related field. Minimum GPA of 3.25 and combined quantitative/verbal GRE scores of 300. A strong interest and experience in wetlands, macroinvertebrates, and water quality is required. Experience in GIS, statistics, modeling, and wetland vegetation identification is desired. STIPEND: $21,605/year (PhD.) plus health insurance and tuition waiver. CONTACT: Student will be advised by Dr. James T. Anderson. Interested individuals should send a letter of interest, resume, a 500-word statement of purpose (why do you want to work on this project, your research interests, and long-term career goals), unofficial copy of transcripts and GRE scores, and contact information for 3 references to . Background: We are recruiting a post-doctoral associate to lead two exciting projects advancing the use of species distribution modeling in conservation planning. This will involve the development and application of models to produce spatially-explicit predictions and conduct statistical inference on the vulnerability of declining grassland birds and bumble bee populations to patterns of climate and land use change across the Upper Midwest. The post-doc will have access to data from citizen science projects, the Wisconsin Breeding Bird Atlas (ebird.org/atlaswi/home) and Bumble Bee Watch (bumblebeewatch.org), and freedom to develop research questions within the broader objectives of the projects. Both projects involve building species-specific models to derive estimates of occupancy and abundance, and evaluate the importance of conservation areas and human-modified landscapes for target species. The position will be funded for 2 years, and is a collaborative project between the University of Wisconsin-Madison, U.S. Department of Agriculture, U.S. Geological Survey, and U.S. Fish and Wildlife Service. The postdoc will be advised by Dr. Benjamin Zuckerberg (UW-Madison) and work closely with Dr. Claudio Gratton (UW-Madison) and Dr. Christine Ribic (USGS/UW-Madison). The position will be hosted in the department of Forest and Wildlife Ecology at the University of Wisconsin-Madison. Qualifications: We seek motivated candidates with a PhD in ecology or related discipline, excellent statistical skills in modeling species distributions (e.g., occupancy modeling and estimation, Bayesian hierarchical modeling, Maxent modeling), and experience or interest in conservation biology. It is likely that this project will involve both presence-absence (occupancy estimation) and presence-background (Maxent) approaches. Previous experience working with spatial databases (climate, land cover) and large biological databases is highly beneficial. Strong computing and data management skills, especially R, are desirable. The candidate should have demonstrable ability to produce quality manuscripts for publication in peer-reviewed journals and experience working in collaborative research environments, including working with outside partner organizations. To apply, please send a single .PDF document including a cover letter summarizing research interests and experiences, curriculum vitae, unofficial list of relevant coursework, and contact information for three references to: . After reviewing all applicants, we will ask for reference letters from top candidates. The position is open to both U.S. citizens and international candidates. UW-Madison will assist with visa applications as necessary once an offer is made. The University of Wisconsin-Madison is an equal opportunity/affirmative action employer. We promote excellence through diversity and encourage all qualified individuals to apply. Review of applicants will begin immediately, but the position will remain open until a suitable candidate is found. Applications received by April 26, 2019 are guaranteed full consideration. Funded position to study questions related to amphibian ecology and conservation, land use, and invasive species at the University of Wisconsin-Madison. Applicants could pursue a degree in either Forest and Wildlife Ecology of Freshwater and Marine Science. To apply, please contact Dan Preston () with a CV, cover letter, and contact information for references. The Larson Lab at UW-Stevens Point is looking for a postdoctoral researcher to conduct genomics research on fish populations across the Great Lakes and beyond. The main focus of this position will be to develop genomic tools for whitefish in Lake Michigan to improve resolution of population structure and understand local adaptation. However, the successful applicant will have significant freedom to develop other projects, likely involving genome resequencing. Competitive applicants should have a strong background in bioinformatics and proficiency in one or more scripting languages such as Perl or Python. We will strongly consider applicants who have experience in population genetics regardless of past study organisms; previous experience in fish genetics is not required. Applicants must have a PhD. However, we are open to exceptional applicants that will be completing their PhD within the next six months. The position will be open until filled and start dates are negotiable. The salary is $50,000 per year plus benefits. Funding is available for two years with a possibility for renewal depending on job performance and funding situation. Applicants should submit a cover letter describing your previous research and research goals, a full CV, and names and contact information for three references to Wes Larson ().